Krista is a whiz at crafts. She loves scrapbooking, quilting and just about any craft that involves sewing. She has written several articles fr magazines about crafts and plans to have several more books published in the next year. 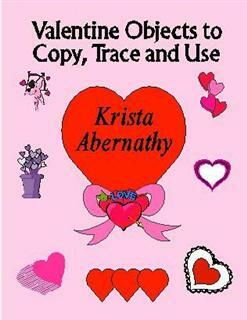 Krista Abernathy Download Add to Cart $2.50 A Great craft book that has many Valentine and love objects you can use with your craft designs.